Andy has over 25 years of experience in the healthcare industry and provides clients with a diverse offering of subject matter expertise, from physician compensation plans and development/implementation of revenue producing lines of business to strategic planning and innovative approaches to overall cashflow improvement. Andy’s primary focus is delivering turnkey revenue opportunities that add clinically sound services with low impact to physician practice operations. Andy’s depth of financial experience coupled with significant operational experience brings a unique view to building new revenue sources for physicians, IPAs and MSOs. Andy began his career in public accounting with Ernst & Young, specializing in audit, consulting, and tax services for a diverse group of clients, from large physician groups and hospitals to manufacturing companies and retail businesses. His public accounting background was augmented through experiences with healthcare companies in the public and private sector in senior leadership roles such as CFO, executive director, and executive vice president. 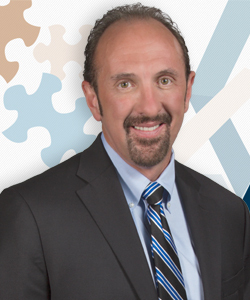 Andy leveraged his experience and established Medical Management Services. In turn, Medical Management Services has become a significant contributor to the success of many physician organizations. Andy and his team of 33 professionals at Medical Management Services use their education, experience, and expertise to help physicians unlock the momentum to redefine their bottom line. Andy earned a BS in Accounting from the University of South Alabama and is a licensed Certified Public Accountant in the State of Alabama. He is an active member of Medical Group Management Association (MGMA), the American Institute of Certified Public Accountants (AICPA), on the board of directors of United Way and Covenant Hospice, and an active member of the Chamber of Commerce and Rotary International. Implemented substantial Allergy program to drive between $100,000-$200,000 per year of incremental income per physician for a large physician practice. Negotiation and execution of a physician hospital joint venture to operate a radiation therapy program, resulting in substantial cashflow improvements. Implemented use of single dose injections to a large pain management practice resulting in over $200,000 in new net revenues per year. Valuation of a Pain Management ASC for purchase. Implemented a Annual Wellness Visit Program for a seven physician IM practice, resulting in substantial new net revenues. Revision of corporate bylaws for a large physician group. Development of a web-based revenue cycle management reporting structure to provide real-time feedback at a physician practice level.